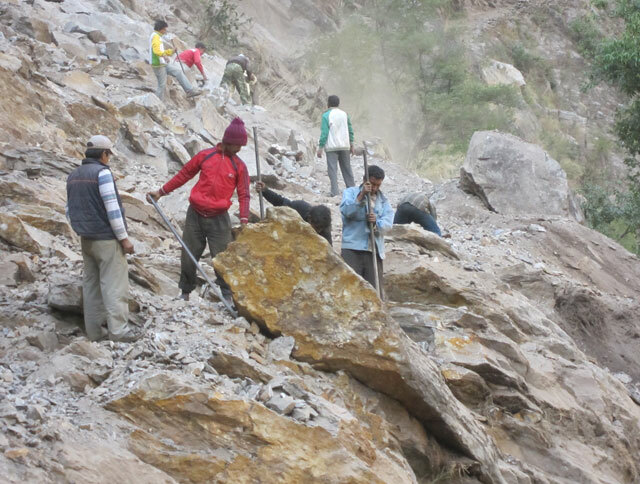 Jiri to Everest Base Camp is a highly praised trekking route of the Everest region. It was established in 1953 when two re-known figures Sir Edmund Hillary and Mr. Tenzing Nogey Sherpa had taken the same route for the Mt. Everest expedition. They became a god-father for the settlements in this region. The trekking route is fairly popular and busy among the trekkers until the Tenzing-Hillary airport established at Lukla. These days people who are following their steps and got more time to acclimatize still is on high priority. This is the magnificent part of trekking in Nepal Himalayas who has a long holiday. You will have lots of acclimatizing during the first week of your trekking. The Trek will start about 8 hours bus ride from Kathmandu, through magnificent scenic river bank and mountain road with numbers of bends. Jiri is a small settlement as a trade center for supplies of daily need to high altitude and rural areas. You will have differently experienced different ethnic groups of Nepal and their cultures and languages. You can also see the lower part of the country and the highest peak on the earth. Enjoying with beautiful views, the encounter with different faces of people, their ethnic groups including Brahmin, Chettri, Tamang, Jirel, Rai and many more, of course, the Sherpa’s too. Sherpas are the main inhabitant of the Khumbu region. Walking ascents and descends to hill trail brings you to well-serviced tea houses and also lead good campsites villages. Crossing over the Lamjura-La (a trekking pass) at the elevation of 3530 m can be the highlight of this route. Passing beautiful villages, many suspension bridges, visit beautiful Temples, Monasteries, reach Everest base camp. Jiri to Everest Base Camp trek is also the other name to explore with many spices flora and fauna on the beautiful landscape of Nepal Himalayas which you won't forget in your lifetime. Day 23: Final departure to Kathmandu airport or further program according to flight schedule. * Note: The flight fare can be change without prior notice. If changed the price will comes according to changed price.